The mineral world is full of strange shapes. You will find barites that look like roses and copper that looks like trees. Calcite can look like eggs in a bird’s nest and malachite can look like a bunch of grapes hanging from the vine. 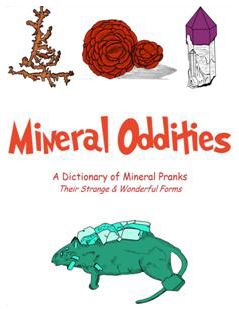 In this A to Z dictionary you will discover the weird and wonderful shapes that you will discover as you study and collect minerals.